This year has been our busiest ever, with us attending great international lighting fairs and conferences, conducting our own sales conference, as well as celebrating our 10 Year Anniversary. The Light Culture Team would like to take this opportunity to thank our partners, distributors and everyone who has worked with us and made 2018 what it was. We look forward to working with you all in 2019. In 2018 the Light Culture Team travelled around the world, attending leading lighting fairs and conferences to bring back the latest news in development and innovation. These events were - Light & Building 2018 in Germany, HOB Summit by WE-EF in USA, Lighting for Health and Wellbeing conference in USA, Light Fixture Design Conference in UK and more. We were proud to run the first Light Culture Sales Conference. The goal was to bring all our sales partners from around Australia and provide an in-depth insight into the products we represent. From humble beginnings in a living room at Avoca Beach NSW, Light Culture celebrated 10 years of business this year. The ethos of the business has always been to adapt to changing markets by sourcing products and developing new relationships for the long term rather than going after a quick dollar. It's been a good journey which still continues to go and grow. Our Cultura light fitting was launched in 2018. 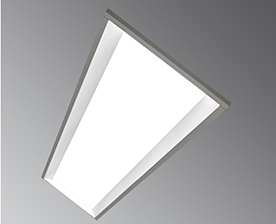 It was founded on two principles - a beautifully homogenous planar light source, with a secondary luminance surface to soften contrast with the ceiling. Three new employees have joined the Light Culture Team to support our growing company. Wade joined forces with our factory, Ben enlarged our architecture sales department, and Jenni assists in purchasing. We are proud to work with award winning international and local brands to realise any project. Our key projects in 2018 were 200 George Street Office Building - with luminaries supplied by WE-EF and Castaldi, Roche Pharmaceuticals Office in Sydney featuring aluminium profiles by Offspring Profiles, and Hazan's Healthy Smiles Dental Practice, showcasing the capability of locally assembled Trilux products. Discover more projects on our website and get inspired.